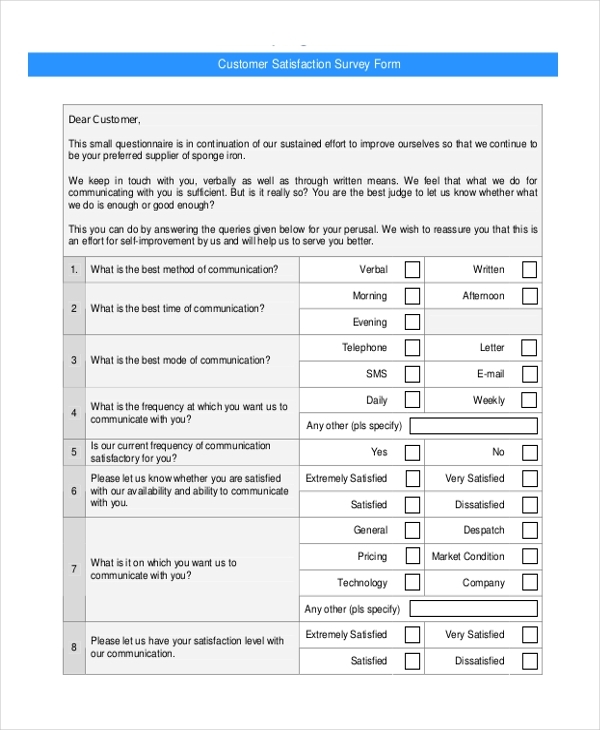 This form is used by a company to understand what the customer thinks about the experience they have while interacting with the staff. This gives the higher officials an idea about the way their employees handle customer queries and complains. As the name indicates, this form is used by the company that is involved in disposing solid waste. 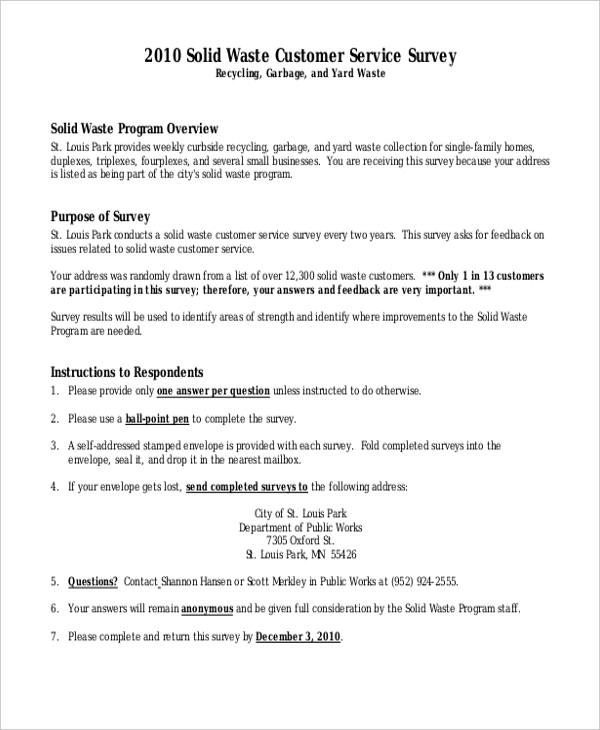 By analyzing the customer feedback, the company can understand what the customers think of their waste disposal process and how they can further improve. 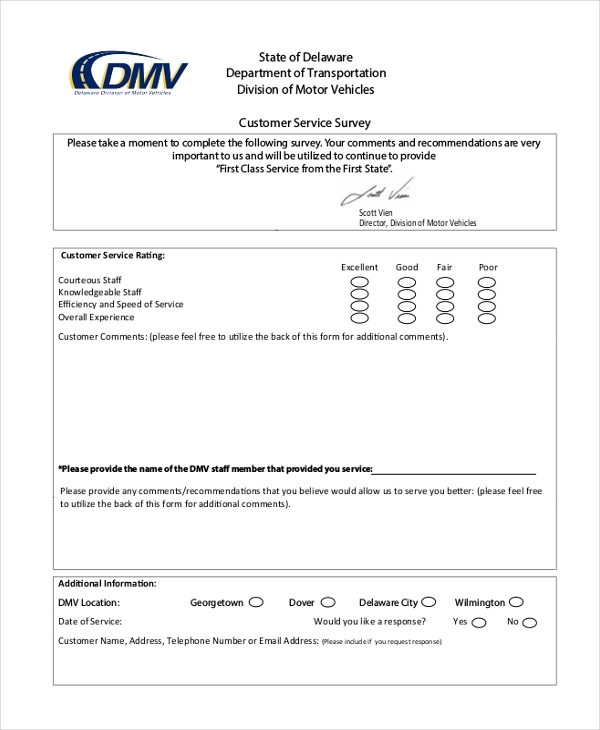 This form is handed out by the transport companies to their customers. The feedback thus received helps them get an idea about what the customers think of their services and about the scope of improvement. 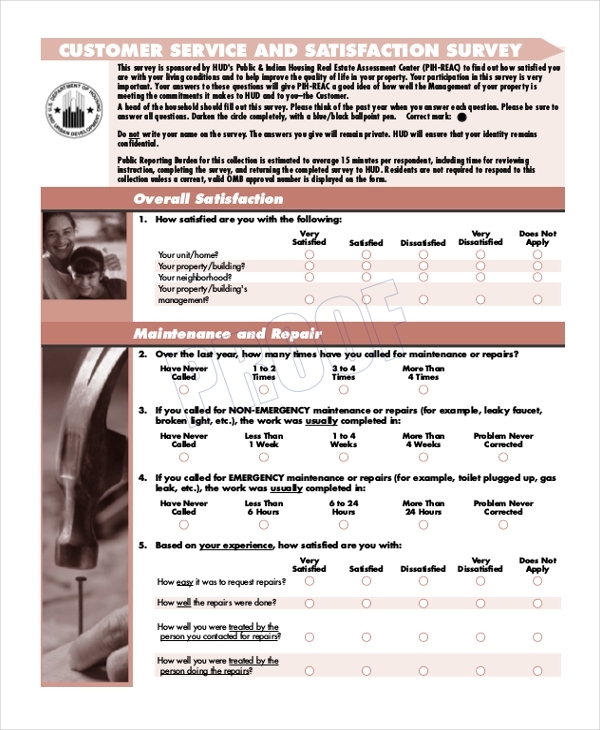 Used by companies that are involved in building and renovation or in installing safety equipment in a building, this form helps them to understand what the customers felt about their service. This form is used by companies and organizations to find out the level of satisfaction that their customers have in dealing with them. Based on the survey report, they can then formulate ways to improve their customers’ experience. As the name suggests, this is a questionnaire that poses questions to customers about the products and services offered by a company. Most of the questions are close ended questions that are easy to answer and help the company to get an efficient feedback. 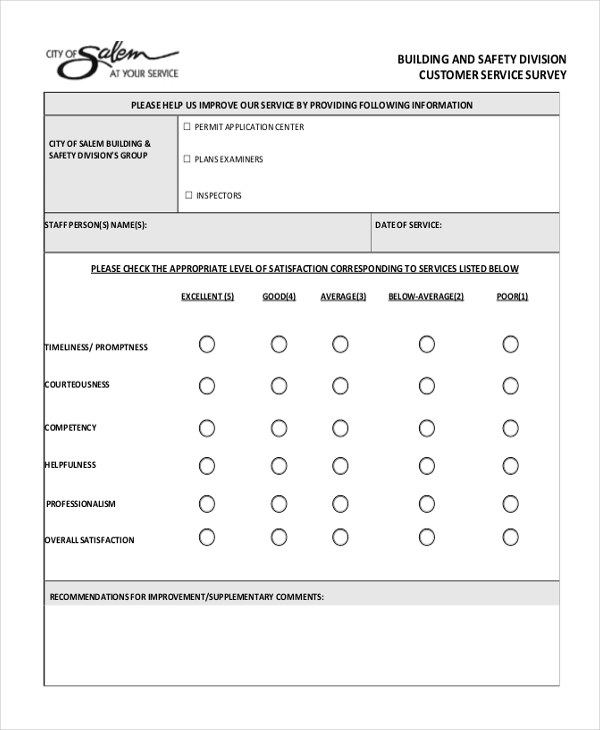 Used by companies and service organizations, this survey form helps the higher officials to gauge whether the customers are satisfied with their services. It also helps them to zero in on what might be going wrong and correct it. 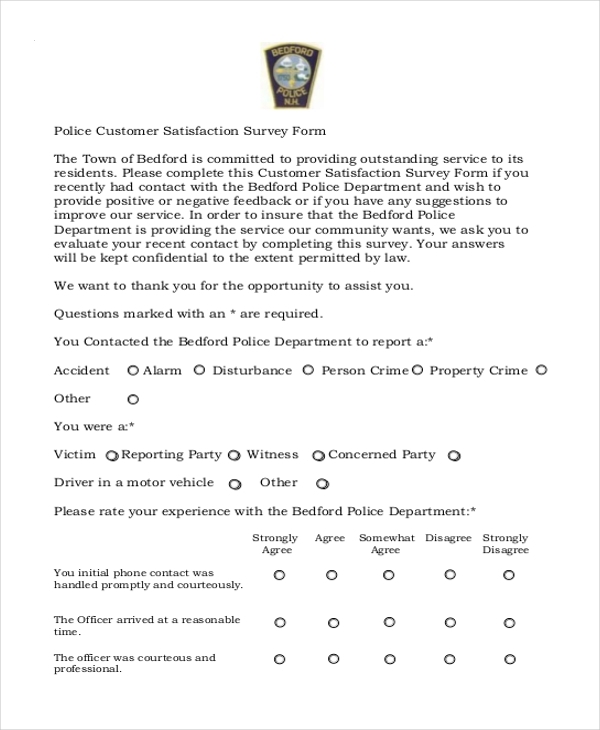 This form is used by the police department of a state to find out what the local people, who may have sought their help, think about the way they handle queries and extend help. This gives the higher officials a clear idea about their subordinates. This is generally used by a district body or a service organization to ensure that all the custodians or customers are happy with the basic facilities that are offered to them. This questionnaire is used by companies and organizations to ensure that their customers are happy with the service that is offered to them. By analyzing the results, the company can formulate newer ways to improve customer satisfaction. Who can use Customer Service Survey Forms? Companies may use this form to ensure that the customers are happy with their products as well as query handling methodology. By using this form, the organization can find out what the customers think of their services. 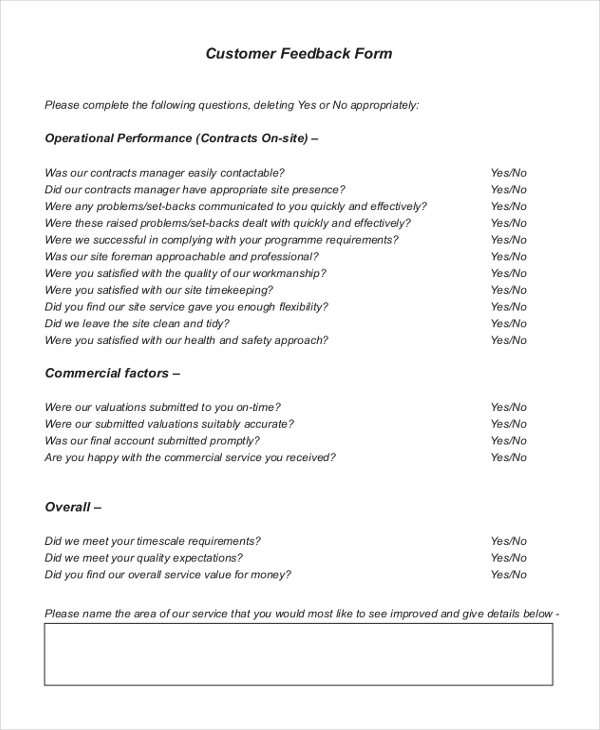 They use this form to understand what the customers have to say about their services and how this can be further improved. What are the Benefits of Using Customer Service Survey Forms? 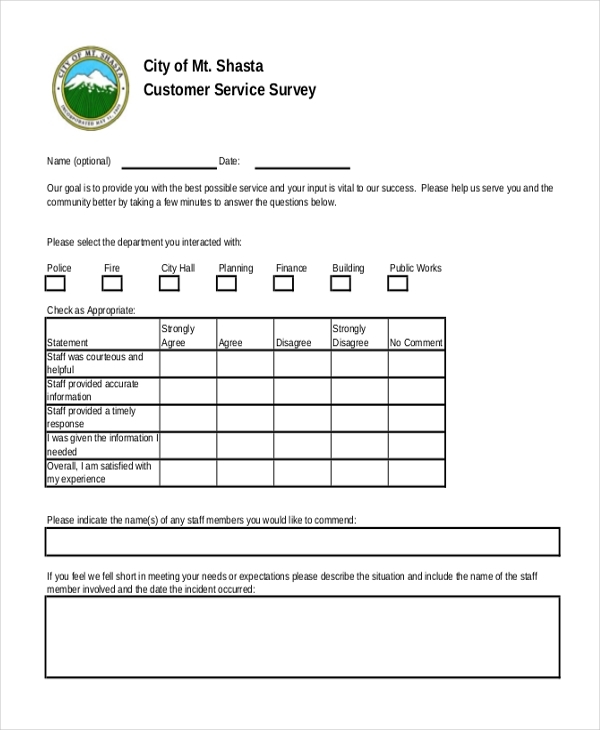 How to Design a Customer Service Survey Form? Customer service survey forms can go a long way in helping a company to improve its operations. However, these should be designed properly to make for an effective survey. Thanks to the wide range of survey forms that are available online, this has definitely become easier. You can easily download a form and customize it to suit your needs.